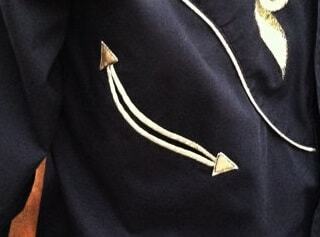 Smile Pockets on Western Style Shirts: Cowboys & Cowgirls Love them! What is a shirt smile pocket? First let’s discuss whether or not you know what the word “pocket” means. Even though we assume you understand the meaning already, here is a brief definition. A pocket is a bag- or envelope-like receptacle either fastened to or inserted in an article of clothing to hold small items. They are most commonly used on pants & shirts. Pockets may also be attached to luggage, backpacks, sweatshirts, and similar items. Even handbags have pockets. Pockets are a perfect place to keep your car keys or your hands in cold weather. For you historians, the older usage of the term pocket often referenced a separate small bag or pouch. The smile pocket is typically unique to western shirts. However, it can obviously be used for clothing that is not western in nature. This type of pocket comes in both a faux (non-functioning version) and a functional design. Smile pockets have a curved, usually angled, opening that is most often defined by piping at its border. The border comes to a point resembling an arrow (and resembling a smile from a face). Do you own shirts with smile pockets? If yes, do you also ride a horse? You may also have interest in learn about western yoke shirts.